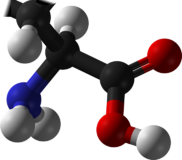 ^ “The Nature of Human Hazards Associated with Excessive Intake of Amino Acids”. The Journal of Nutrition 134 (6): pp.1633S–1639S,HISTIDINE. (2004). doi:10.1093/jn/134.6.1633S.